While gifting assets away during life can be an effective way to reduce or even eliminate estate taxes, there are some limits and pitfalls that one must consider. First, the federal gift tax law imposes limits on the amount that can be given to any one person. This amount, known as the annual exclusion, is currently $14,000, but a married couple can each give to the same person or “gift split”, thereby increasing the amount to $28,000. Above that threshold, each individual has a combined gift and estate tax exemption of $5,490,000 (for 2017). To the extent gifts above the annual $14,000 annual exclusion are made, a federal gift tax return must be filed to report the use of some or all of the person’s exemption. No gift tax would be due until the entire exemption is utilized. Finally, gifts to charity, a United States citizen spouse and for certain educational or medical expenses (regardless of who those expenses are paid for) do not utilize any exemption. New Jersey does not have a gift tax nor are any New Jersey filings needed to report gifts made by New Jersey residents. New Jersey’s estate tax is scheduled to be repealed as of January 1, 2018 so gifting to avoid or reduce New Jersey Estate Tax may soon be unnecessary. Gifts made to someone other than a parent, spouse, descendant or stepchild, however, may be subject to New Jersey Inheritance Tax (different from New Jersey Estate Tax) if the donor dies within three years of the date of the gift. Notwithstanding the potential estate tax savings that can be realized through gifting, one must use caution when non-cash gifts are made. The recipient of the gift will assume the donor’s tax basis in the gifted asset and will need to report (and possibly pay tax on) the capital gain that is realized when the asset they received as a gift is sold. 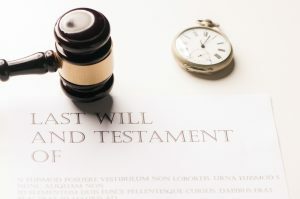 In contrast, current law provides for a step-up in tax basis to the fair market value at date of death for all assets included in a decedent’s estate. Accordingly, if the asset that was gifted during life was instead bequeathed upon the donor’s death, the capital gain would be eliminated.—Brian D. Reynolds, Esq., Mantell, Prince & Reynolds, P.C.